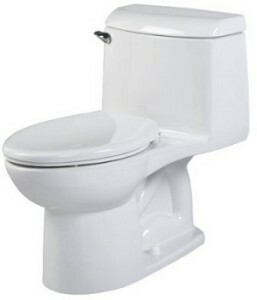 5 Best One Piece Toilets to buy, from the top three toilet makers today. 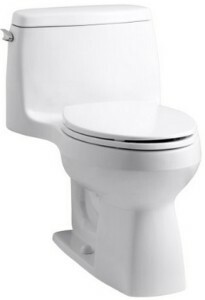 American Standard Champion is a full-sized toilet available in white or linen colors. 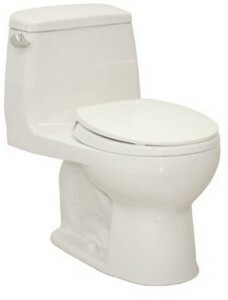 It has slightly elongated sides for maximizing water usage. The EverClean surface will prevent the growth of bacteria, mold, or stains. It’s made from vitreous china materials. 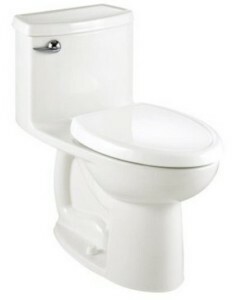 The American Standard toilet comes with an impressive ten year warranty against defects. 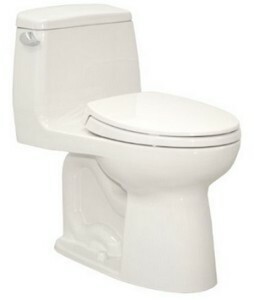 In the box is one toilet, and two bolts, but you’ll have to buy the seat separately.